We had this card just a couple weeks ago, but I definitely feel its re-emergence is for a reason (at least, it is for me). Remember to let your logic and intuition share ground – balance is key to most healthy lifestyles. I’m headed to a short retreat with the women’s group I’m in, and I cannot wait to recharge my batteries a bit. Hope you all have a great day too. 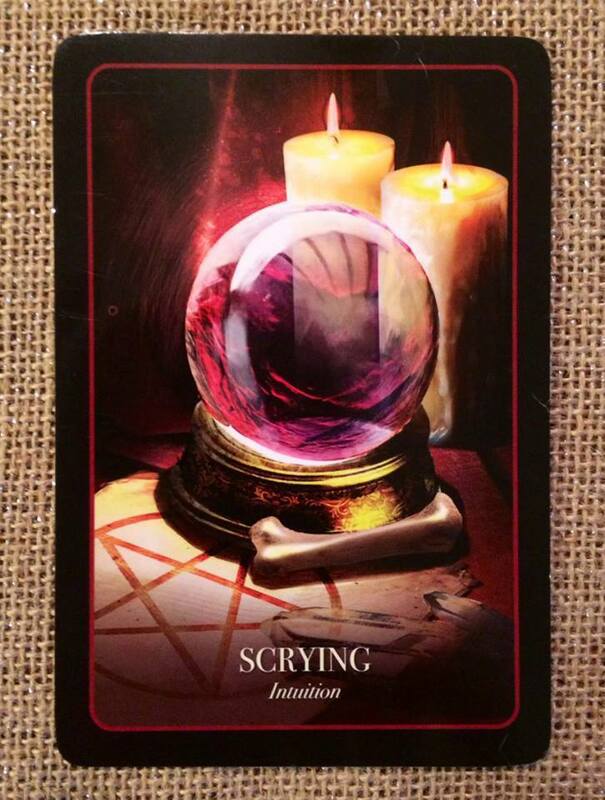 The keys to effective scrying are being as relaxed as possible, minimizing possible distractions, softening your gaze and allowing.The enemy of effective scrying is distraction, both from inside and out. Turn off the phone, electric lights anywhere you can see them, any music, and if you are scrying outdoors, take the time to setting into the environment and listen to all the noises so that your mind will not need to break your focus later. It is also vitally important to settle the mind as much as you can.